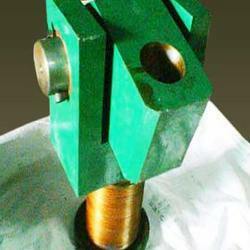 Manufacturer of a wide range of products which include tilting pin assembly. To cater to the diversified industrial needs of our profound customers, Tilting Pin Assembly is being introduced under our product range. Our experts carry out the manufacturing procedure in accordance with the industry approved norms and thus, bring forth products of flawless configuration. Durable and imparted with sturdy finish, these products are available in various grades. Looking for Tilting Pin Assembly ?